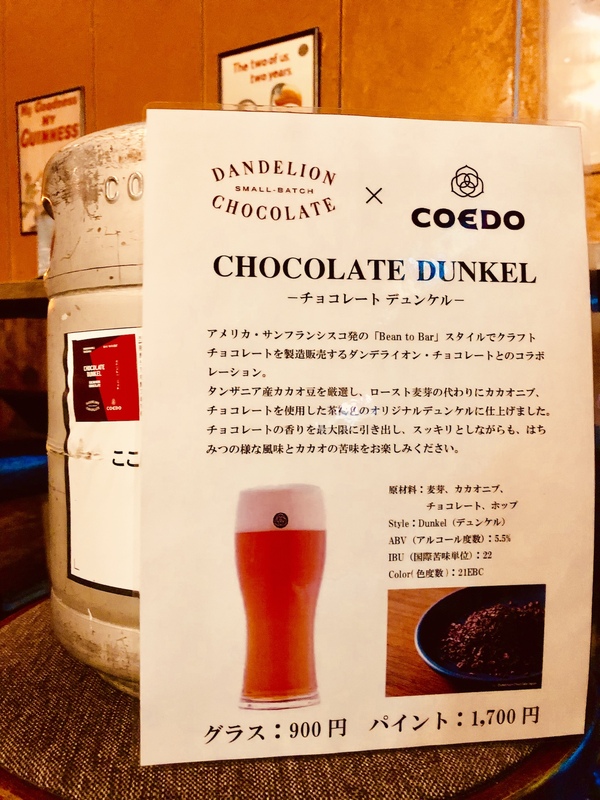 Well known beer, COEDO here at the nest has released brand new seasonal product! It will be serving as soon as run out of KYARA which is being served now. Normally dunkel beer colour is black but this one used not roasted malt so make the beer Amber colour of caramel malt. And also cacao nib and chocolate are used as based material! As usual, it’s a seasonal product. Only 6 kegs! try this as early as possible! !